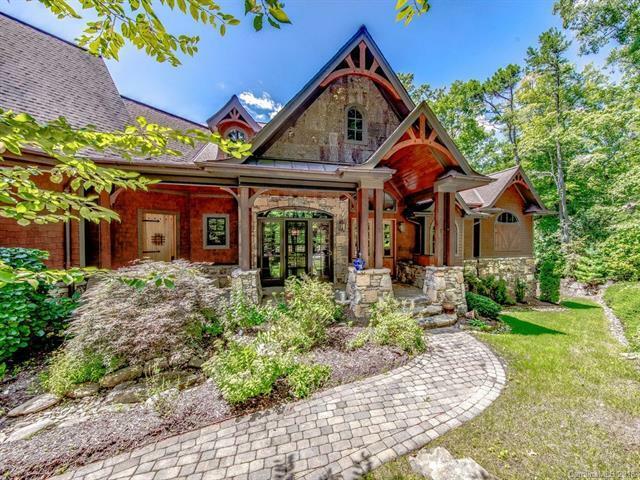 Clad in stone, wood, and poplar bark siding, this grand and inviting home melds old world architecture with modern amenities and resides in the gated community of Bridgewater conveniently located in South Asheville. 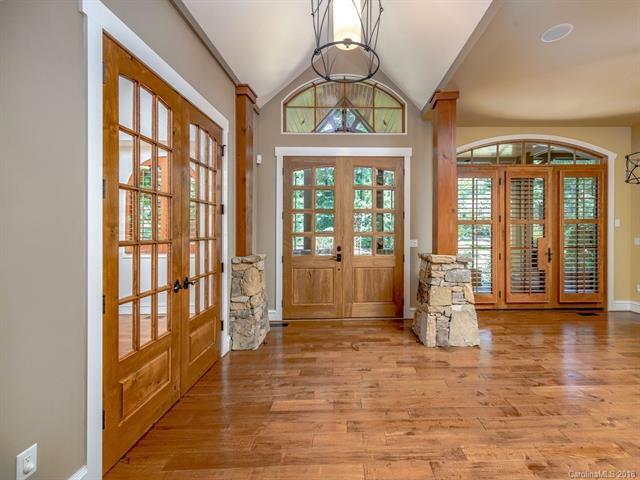 Hand-hewn exposed beams of the cathedral ceiling meet the stacked stone fireplace that presides over the living room while the gourmet, eat-in kitchen features granite counters and custom cabinetry. Just off the kitchen is an enclosed porch with fireplace and open deck area. The large Master Suite and bath feature dramatic ceiling detail, a soaking tub, and double-sided, walk-in shower. 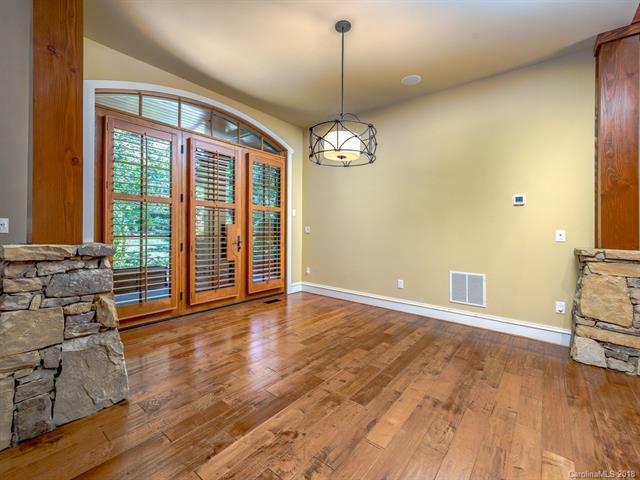 The lower level is perfect for entertaining with game room, kitchen, private media room/home theater, large enclosed porch and two guest suites. Additionally, there is a full apartment above the oversized, two-car garage. 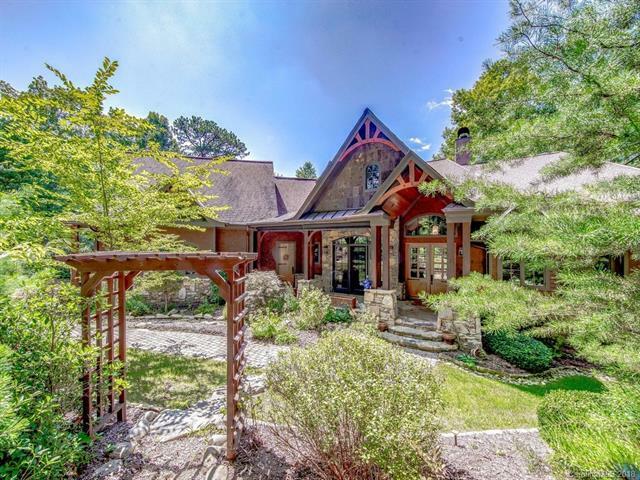 Private yet a short distance to shopping and dining and just 12 miles from downtown Asheville. An additional lot is available for purchase to ensure even more privacy.